Elbert Starks, who is black, sued the city Dec. 13 in Allen Superior Court, writing in court documents he "was subjected to racially hostile comments from co-workers which created a hostile work environment." The case was transferred last week to U.S. District Court in Fort Wayne, records show. State Rep. Martin Carbaugh, R-Fort Wayne, later sought clarification from the attorney general regarding the word "resignation" under state law. Starks at some point sent an email to Lahey stating, "(he) would like to return as a private immediately," according to an opinion issued Dec. 20 by Hill. Later, the fire captain changed his mind and tried to take back the resignation. "The chief treated the firefighter's email as a request for reassignment," Hill's opinion states. "The firefighter on the other hand considered his email to have been a formal resignation." 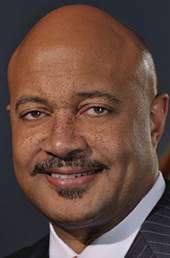 The commission ruled in June Starks wouldn't be reinstated as captain. Hill ruled that a resignation differs from a resignation of office under state law. A resignation "is a voluntary and unconditional termination of employment that creates a vacancy in an office," he wrote. "By its nature, a resignation in rank is conditional on continued employment and does not create a vacancy," the opinion states. "Resignations in rank, therefore, are not the legal equivalent of a resignation as that term is used in (state law)."